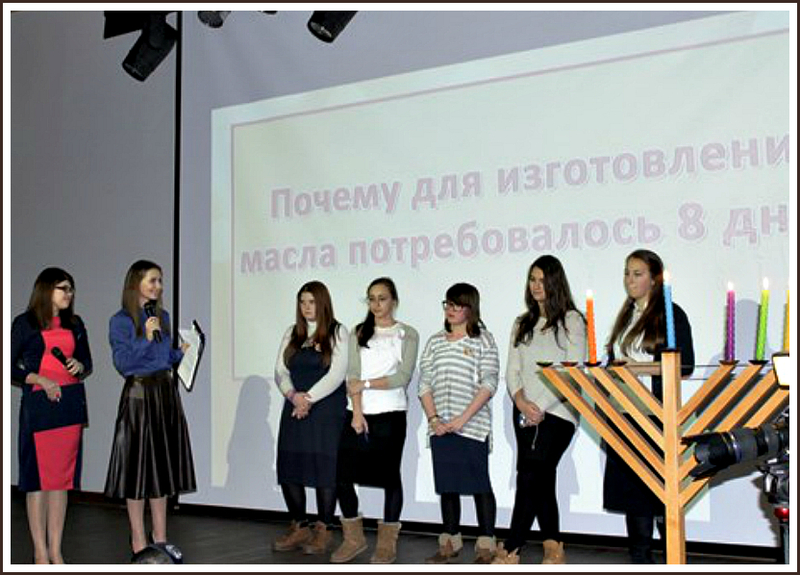 On December 9, the Sinai Hall of the Menorah Center hosted the launch of “Aidishe wiseacre” intellectual and educational project, organized by the International Humanitarian and Pedagogical Institute “Bethana”. 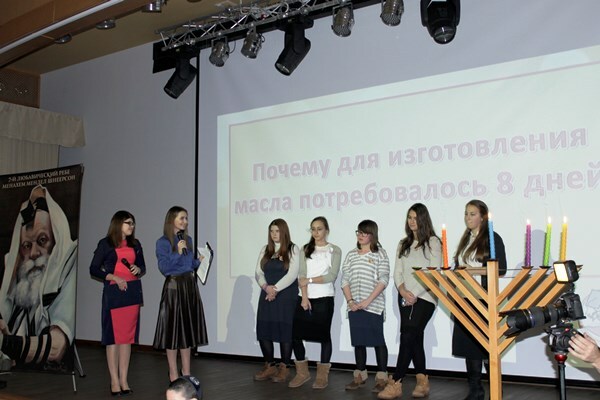 The first game, called “Hanukkah – Feast of Light and Wonders”, was conducted in the evening of the fourth Hanukkah candle and was specifically devoted to this heartwarming and miraculous holiday. 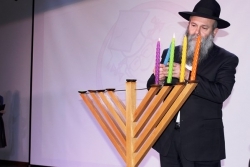 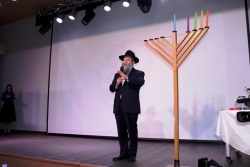 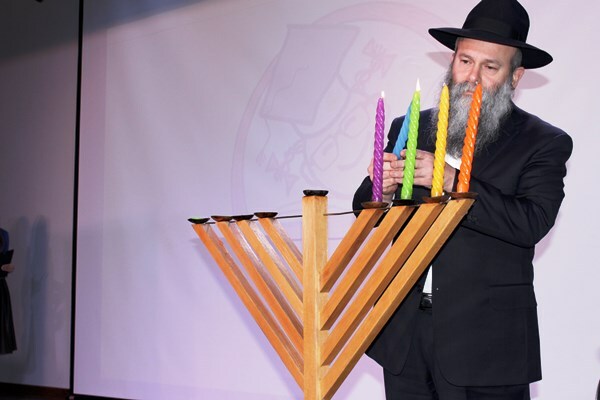 At the beginning of the event the Chief Rabbi of Dnipropetrovsk city and the region Shmuel Kaminezki congratulated everybody on the Hanukkah feast, blessed all persons present, and lit the fourth Hanukkah candle at the Sinai Hall stage. 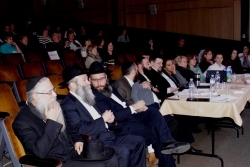 The game itself had several stages. 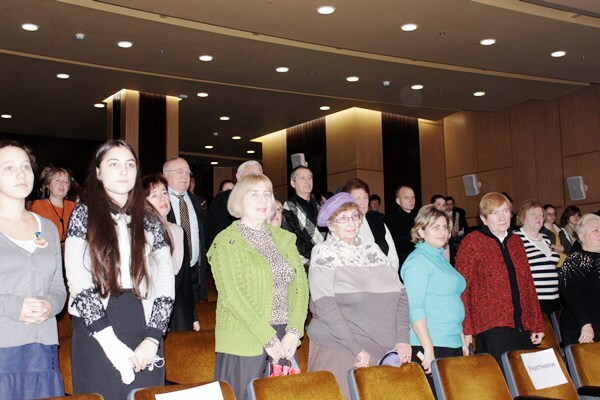 The qualifying round included participation of 98 people from Pavlograd, Odessa, Kharkov, Dneprodzerzhinsk, Zaporozhye, Zhytomir, Berdychiv, and Dnepropetrovsk. 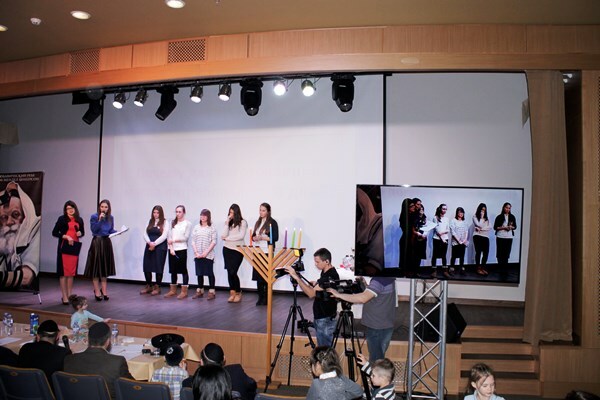 Online testing defined 15 winners of this round, who became the contesters at the quiz. 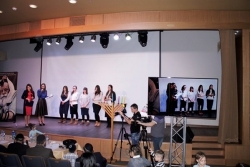 Three participants reached the final stage of the game: Sara Nazarenko, Kerry Makogon, and Daniela Brez. 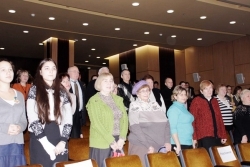 The fight for the first place was very intriguing and hard. Having passed all tests and tasks, Sara Nazarenko has become the winner of the first “Aidishe wiseacre”– “Hanukkah – Feast of Light and Wonders” game, getting the grand prize of 5000 hryvnia.